A Frightening Tale of Friendship & Togetherness! Developed by Nippon Ichi Software and published by Nis America, Yomawari: Midnight Shadows is a creepy game that proves that friendship can overcome anything, with a heartfelt premise like that it must be a fantastic game, right? Continue reading the rest of our review to find out! 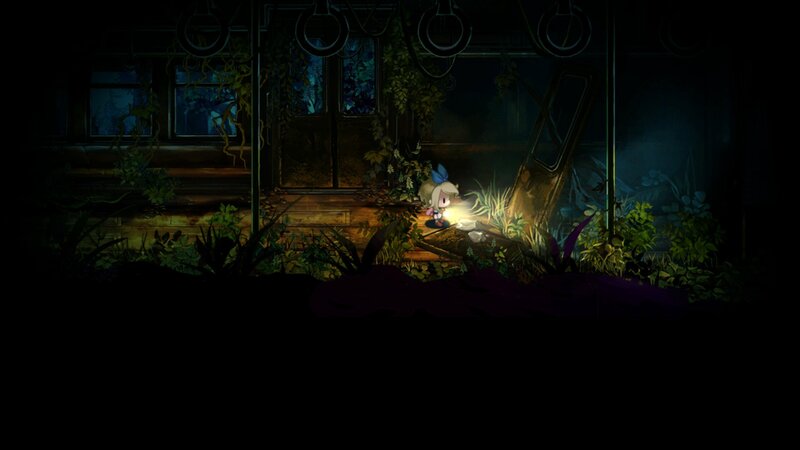 The story of Yomawari: Midnight Shadows follows two girls trapped in a nightmarish hell where ghosts and other supernatural creatures are running rampant in their hometown. They must reunite and work together for there to be any hope for them to figure out what has happened to their town and to survive. 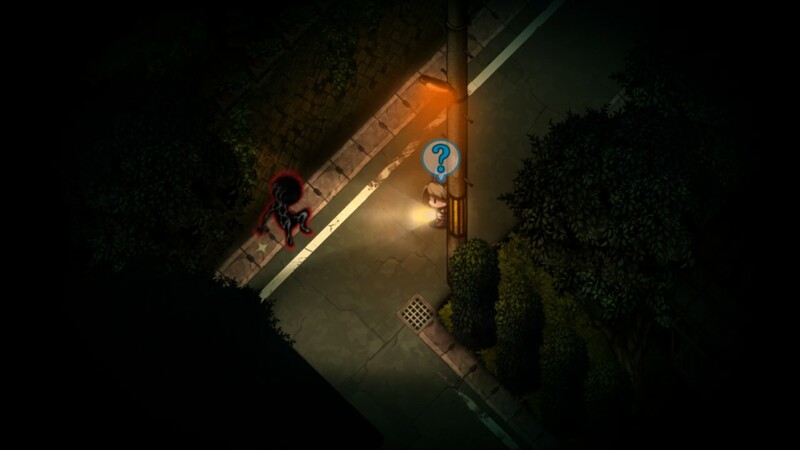 The gameplay and settings in Yomawari: Midnight Shadows are surprisingly eerie and gave us plenty of jump-scares during the course of the game. 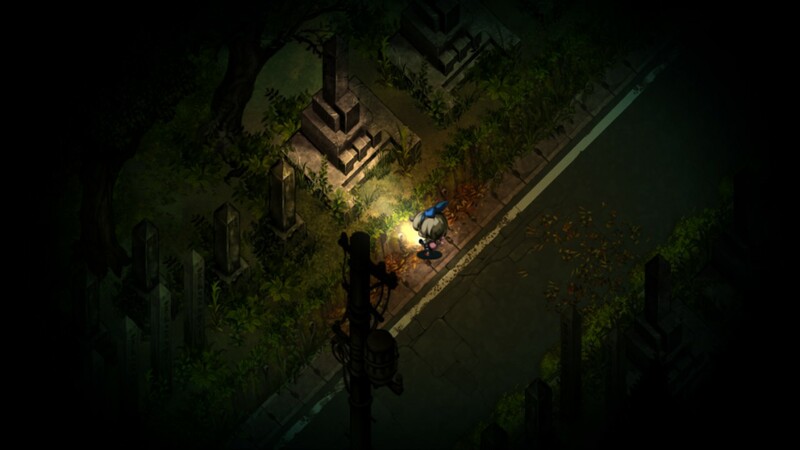 Basically the flashlight you obtain early on in the game allows you to see spirits and other dangers, however you can't fight them and instead must hide until the creatures or spirits who spotted you give up their search. This stealth element is pretty enjoyable, but doesn't always work if a certain creature knows where you are so it's best to get a little distance between you and the immediate threat before hiding if at all possible. There are times where certain key items are needed to distract certain spirits or ghosts, but if you are an old-school gamer this will pose little to no problems at all. The controls in the game are straightforward and easy to learn while the difficulty can be quite unforgiving if you aren't used to retro-style stealth-based adventure games. The game is fairly short as we beat the game in under 10 hours though it might be possible that we didn't fully explore the game's areas. The game is PSTV compatible which is always a plus in our opinions! The audio-visual presentation is superb as expected from Nippon Ichi Software! The pixel art is flawless, the dim lighting adds to the eeriness of the game, especially if you play the game with the lights off in your room as the developer intended. The character and enemy models as well as the world itself look gorgeous as Nippon Ichi put alot of love and attention into the intricate details that give this game and series a distinct level of uniqueness that will leave a lasting impression. The soundtrack is mostly ambient, but it really adds to the eeriness of the game. It might not be all that memorable, but it's still nice to hear nonetheless. Some of the sound effects such as screams, heartbeats, and other spooky sounds really add to the overall experience we had with the game! 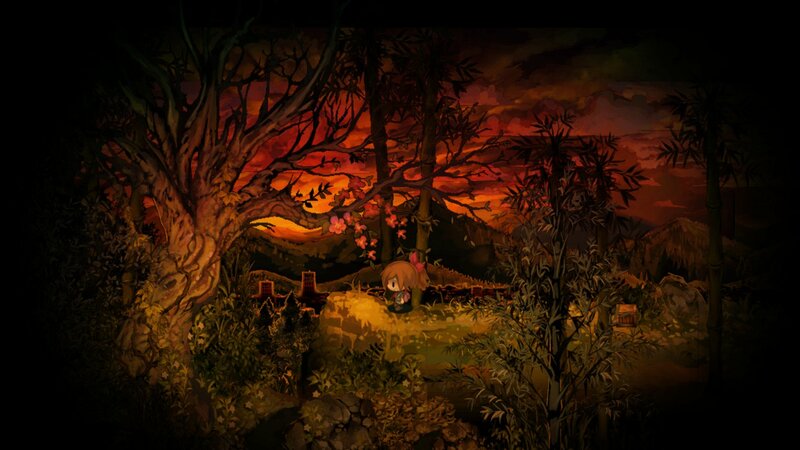 With great gameplay, flawless controls, and a fantastic audio-visual presentation, Yomawari: Midnight Shadows will draw you in from beginning to end with it's spooky gameplay and charming visuals. If you're a fan of retro adventure games this is a must-have! We give Yomawari: Midnight Shadows for Vita a good level of recommendation! Nice review to publish on Halloween lol. I fixed a few issues with your review boss. I hope you don't mind. I love this series dude! @themcnoisy I tried this on my pstv and was surprised by how good the pixel art looks stretched out on my 42" Samsung TV. Usually games like this look terrible on pstv. Good review rean. This is what I think a survival horror game would have been like on the Super Nintendo. @themcnoisy great choice! I always love a good survival horror game so I may have to pick myself up a copy. Does anyone know if this game is available at retailers?